Monterey County is situated on California&apos;s central coast approximately 100 miles south of San Francisco and about 200 miles north of Los Angeles. Whether your attendees prefer planes, trains or automobiles, it&apos;s easy to get to Monterey County! Monterey is easier to get to than you think with over 500 direct and one-stop flights from most major US and many international cities. The convenient Monterey Regional Airport, which has short and hassle-free security lines, is located just 10 minutes door-to-door from downtown Monterey. 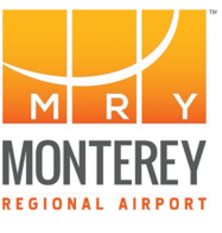 Visitors can fly direct to Monterey Regional Airport (MRY) via international and domestic connecting routes on Alaska Airlines, Allegiant, American Airlines, United Express and US Airways. Fly direct from airports including Los Angeles (LAX), San Francisco (SFO), San Diego (SAN), Phoenix (PHX) and Las Vegas (LAS). Charter and private flights are also available. Other large airports near Monterey County include Norman Y. Mineta San Jose International Airport (SJC), located 60 minutes from downtown Monterey; and San Francisco International Airport, located 2 hours from downtown Monterey. 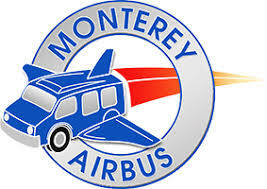 The Monterey Airbus offers regularly scheduled shuttles and convenient door-to-door services to and from SFO and SJC, eliminating the need to rent a car. Click on the links to download detailed PDF maps of Monterey; Carmel and Carmel Valley; Pacific Grove; Pebble Beach; Salinas; and Seaside, Marina, Sand City and Moss Landing.